Normally when a new chipset hits the market we like to try and get a motherboard from one of the major companies for use in our reviews and initial testing. This goes for any new CPU regardless of if it is AMD or Intel. The reasons are pretty simple; the first is that realistically not that many people but Intel reference products. You get some that will, but the majority are going to buy from Asus, Gigabyte, MSI or one of the other players. This is not saying that Intel boards are not good products; it is just that most consumers have their favorite brands. However we wanted to try things a little differently with the launch of the X79 chipset. We have decided to take a first look at Intel’s reference motherboard and see how well it performs. As with everything we do there are multiple reasons for this. One is we want to see how Intel’s implementation of three-way SLI using the CPU for all PCIe lanes works and we also wanted to see what the overclocking envelope turns out to be. 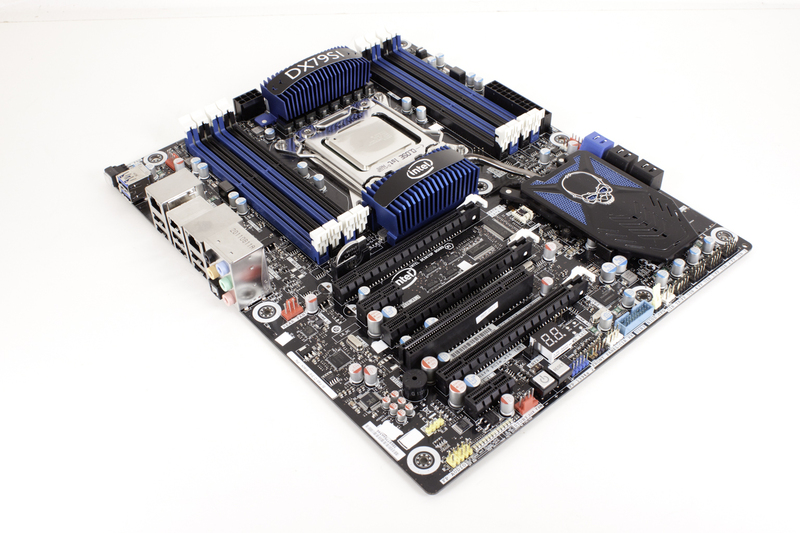 This will give us a great baseline for the reviews of other X79 motherboards in the weeks ahead. So with all that out of the way lets dive into Intel’s X79SI Siler (insert Heroes Reference here).